Kauai’s natural splendors are meant to be discovered from the sky. If you’re traveling Hawaii, don’t make the mistake of skipping this thrilling helicopter ride. The oldest of the Hawaiian Islands, Kauai is recognized for untouched natural sprawls unlike anywhere else in the Nation. Unfortunately, untouched also means inaccessible to most. Many stretches of lush vegetation and volcanic terrain will remain hidden unless, of course, you book a helicopter flight! From the clouds, Kauai’s vibrant sights are all yours to explore! 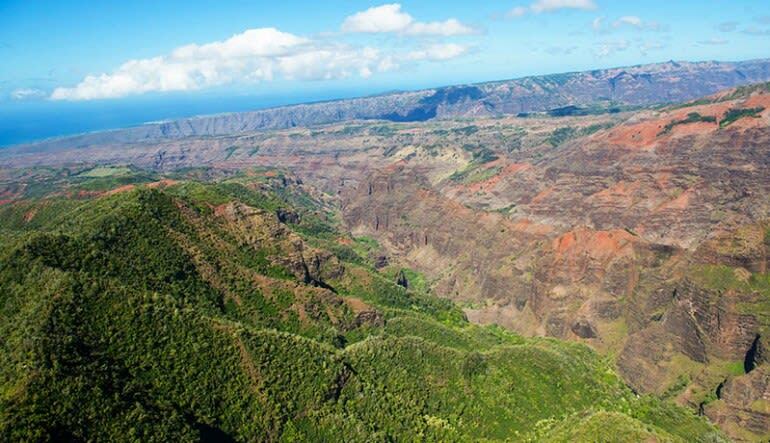 This Kauai helicopter flight travels the island’s western section from Hanapepe to Waimea Canyon and back again. 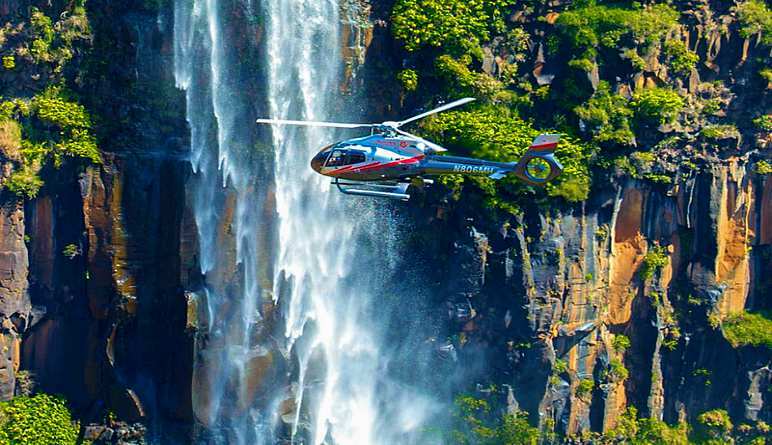 It offers 25 minutes of cascading waterfalls, rugged mountaintops and rainforest scenery that drops jaws. Don’t even think about flying without your camera! 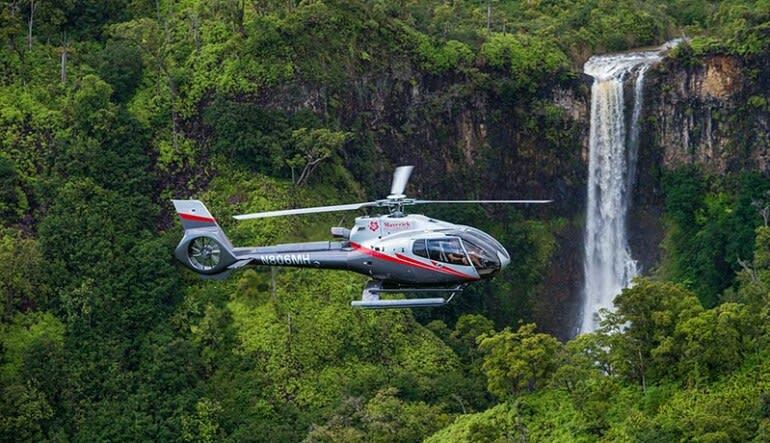 Enjoy a 25-minute Hawaiian helicopter ride over Kauai! Take off over rich valleys right outside Hanapepe. 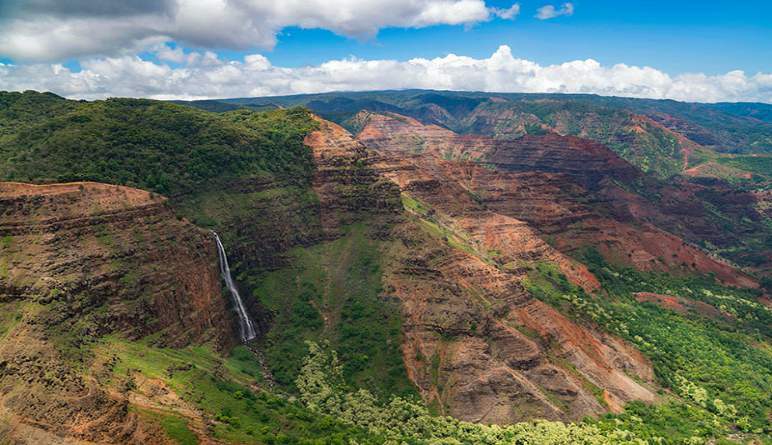 Make your way north to Waimea Canyon, which stretches a remarkable 14 miles! Continue to Na Pali-Kona Forest Reserve, a paradise totally inaccessible to vehicles. As you head south, travel over Olokele Canyon’s jagged formations and red soil. 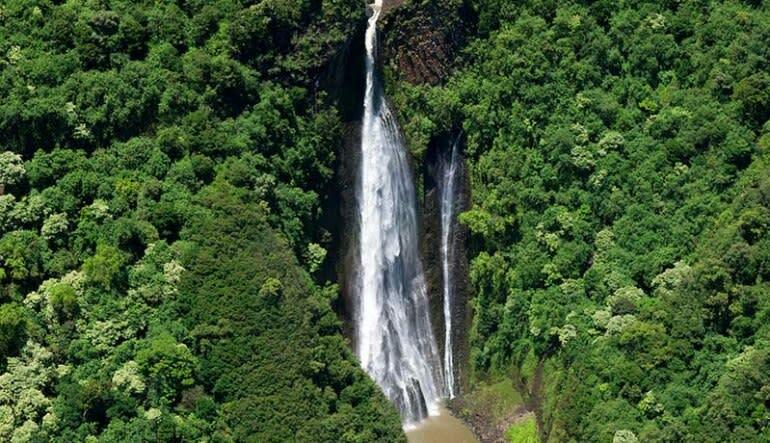 Appreciate the Awini Falls, Waialae Falls and Manawaiopuna Falls (made famous in Jurassic Park)! Finally, head back to Hanapepe Valley—marvel its farmlands and dramatic mountainsides! 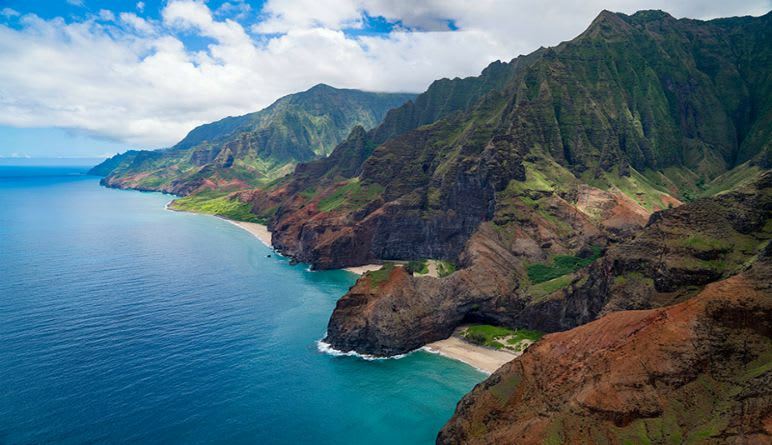 Kauai’s natural splendors are meant to be discovered from the sky. If you’re traveling Hawaii, don’t make the mistake of skipping this thrilling excursion. Book now!